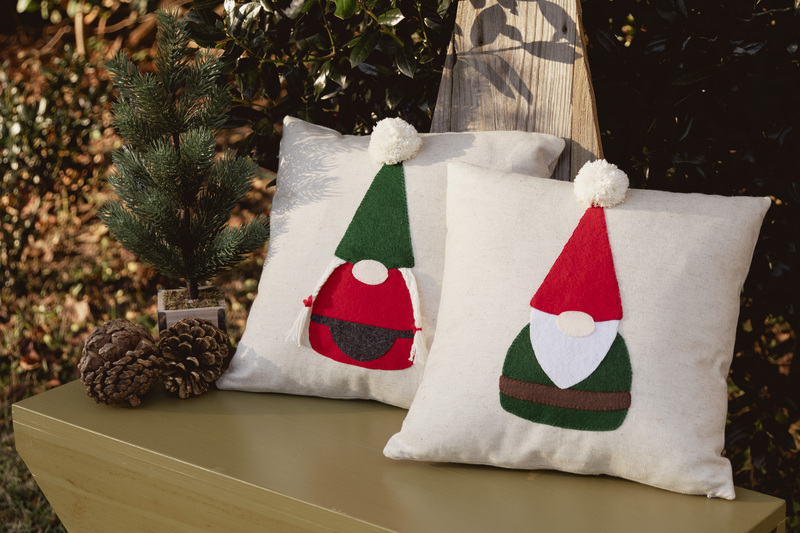 These adorable gnome applique pillows are sew easy to make. 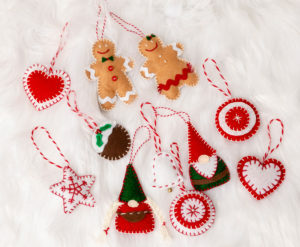 They can be used all year round, but are especially cute during the holidays. I used the linen fabric we carry in our shop as the pillow cover. 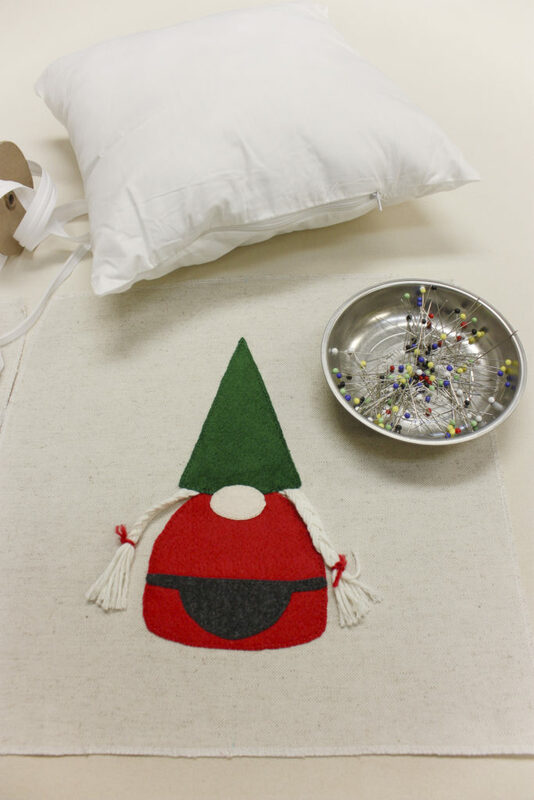 When I finished making the patterns for the felt Gnome Christmas ornaments (see those HERE) I loved them so much I designed pillow appliques for my winter decor too. 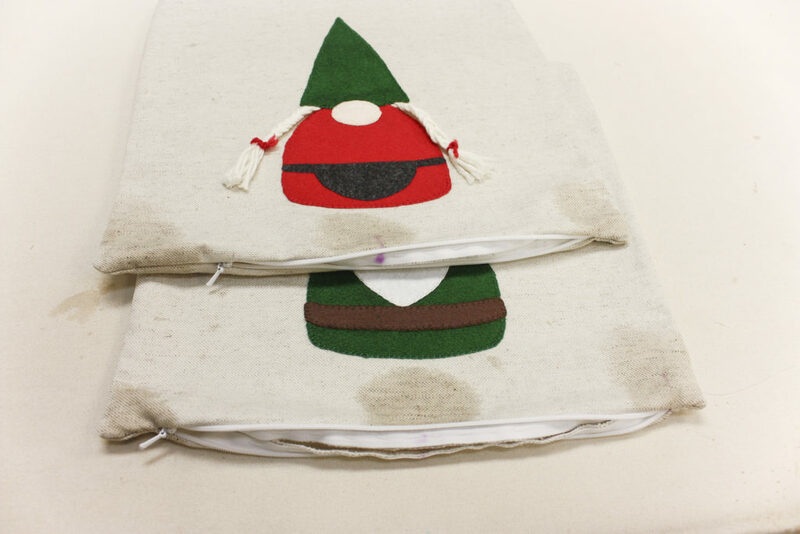 After I made the pillow applique patterns, I printed them out and traced each piece on Wonder Under. See full instructions on an earlier post HERE. I got so excited about the applique that I forgot to cut out the pillow pieces until now. 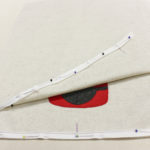 After I cut out four pillow squares for a 14″ by 14″ pillow I serged them to prevent fraying. 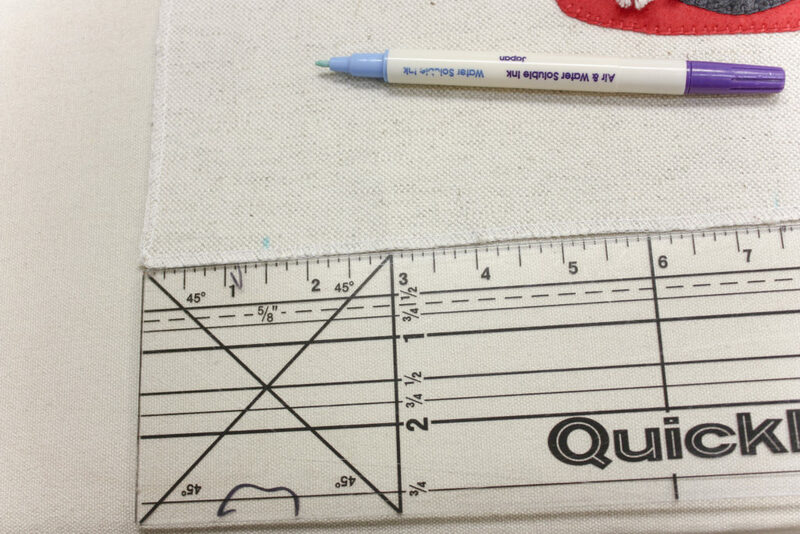 Mark the centers so you can line everything up while sewing, for this reason I used a water solvable marker. My choice for zippers were invisible and as you can see I purchase it on the roll, but zippers can be purchased individually as well. 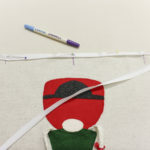 Attaching the applique was the best part since it goes on in minutes using an iron and Wonder Under. 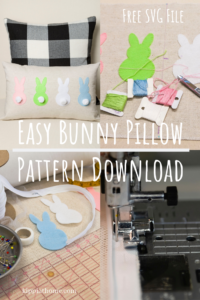 See full instructions using my method of transferring images onto Wonder Under and attaching the applique to the pillow pieces HERE. 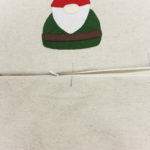 After blanket stitching (learn how here) around almost each piece of the applique with embroidery floss in the matching color I realized my girl gnome needed her pigtails. So I cut 9 pieces of yarn (hair) about 11″ long. 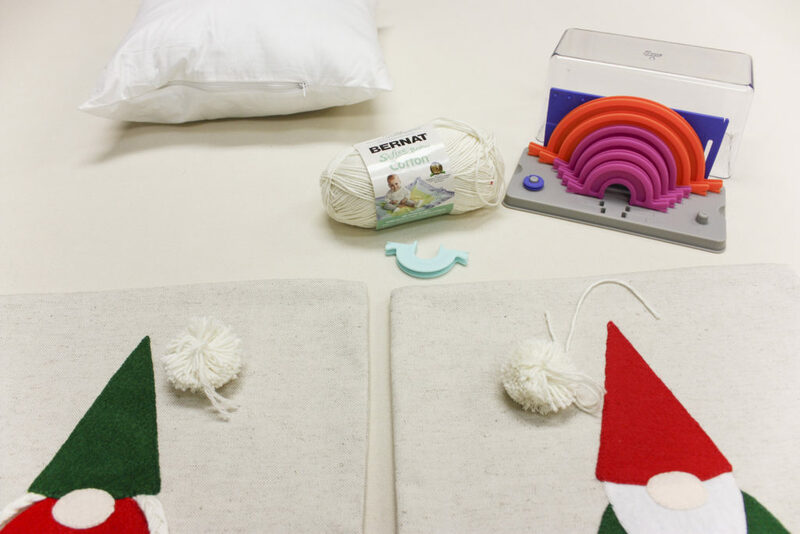 You will need to braid 3 pieces of yarn at a time in each section. 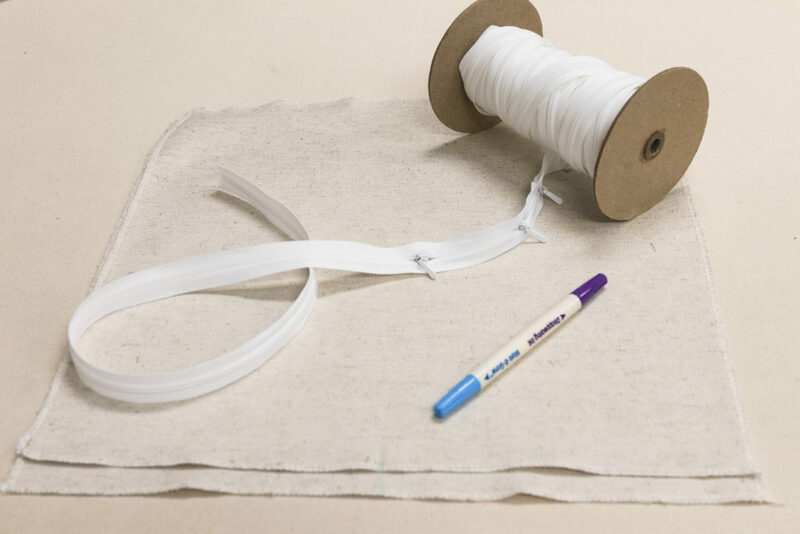 After you have finished braiding the yarn place the red yarn ties at either end of the braid about 1.75″ from the end then cut the braid in half to form 2 braided pigtails while making sure not to allow it to un-braid. I used a little tape to hold the cut ends. Mr. Gnome was a wee bit faster to finish. 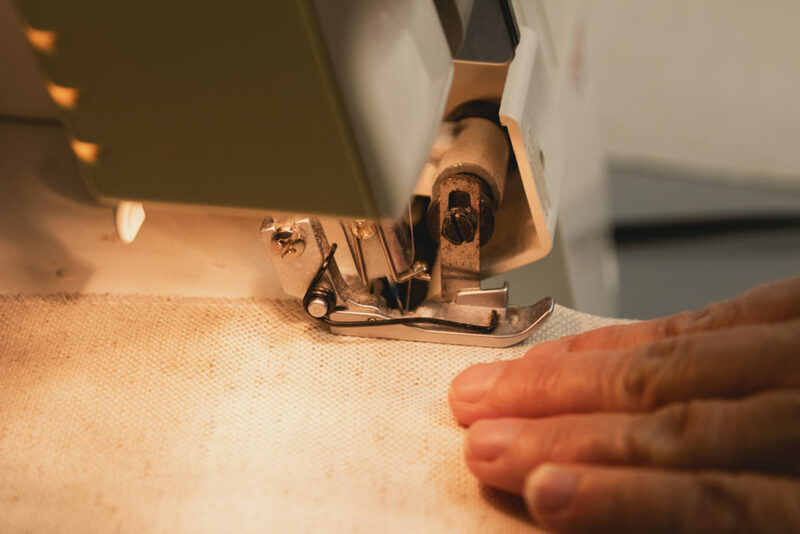 Mark in 1.5″ on both ends of the bottoms of the linen pillow halves. Simply spray water on the marking and like magic they disappear. Mr. and Mrs. Gnome are so cute, but something seems to be missing. After completely finishing the pillow I felt like they needed something. 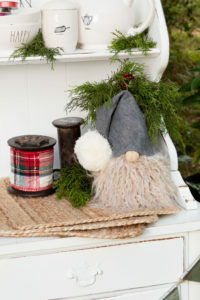 Then I remembered how cute my gnome from an earlier post looked when I attached the pom pom to his hat. Read about that HERE. I made by own pom poms since they are too expensive to purchase ready made. 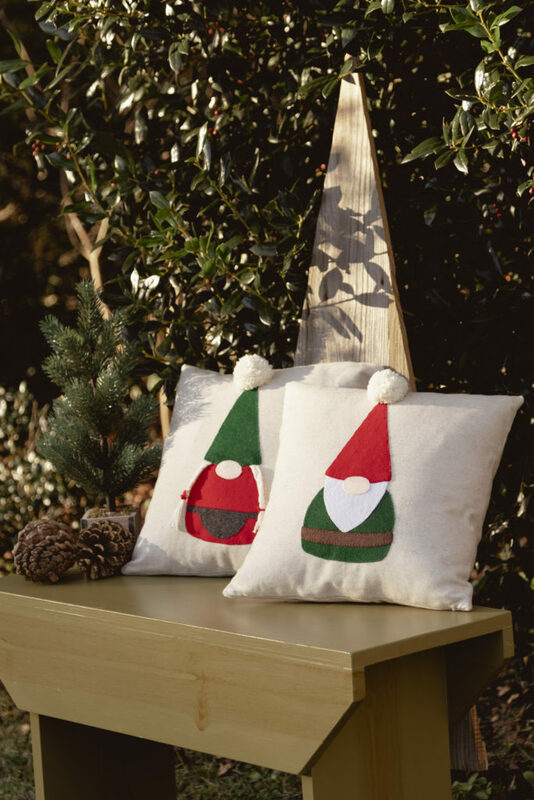 These cute gnome pillows are sitting on our famous one-board-bench. See how to make one of them on an earlier post HERE. 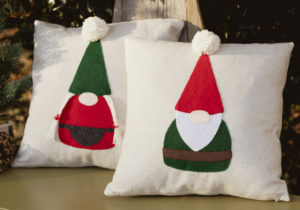 The gnome pillows are going to be part of my winter decor. 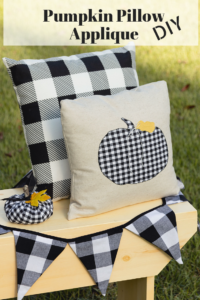 They will be paired with some other winter pillows and throws I have been planning to make. I like to celebrate each season and sometimes winter gets lost in the holiday rush. 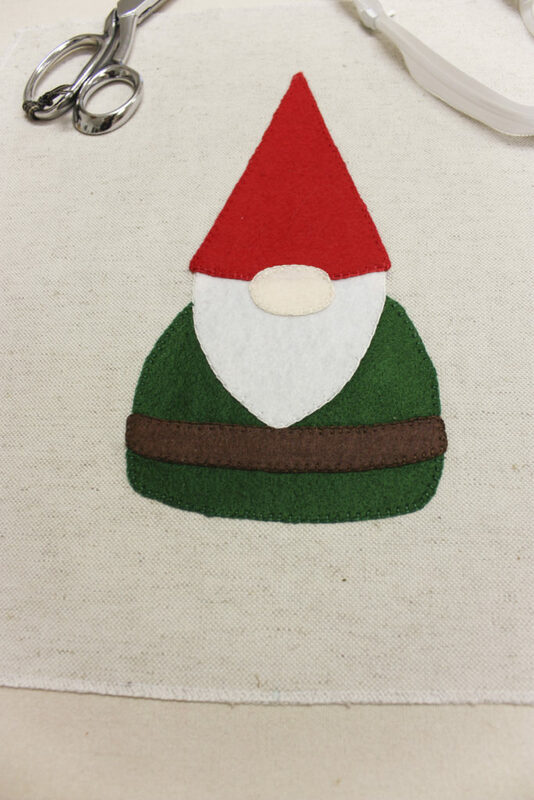 The handmade felt gnomes DIY you can find HERE and the gnome decor DIY you can read about how super easy and fun they are to make HERE. I love making new friends and visiting with old ones so please let me know you stopped by. 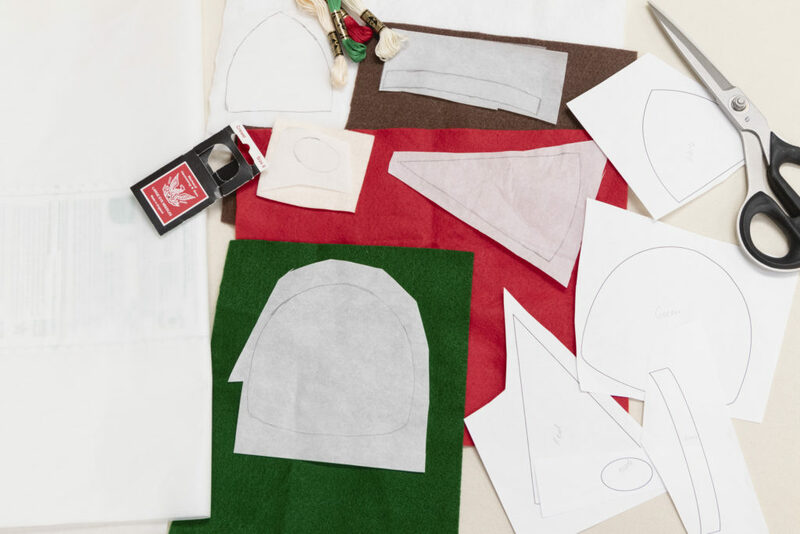 Are you working on any winter projects? Please let me know in the comments section below.